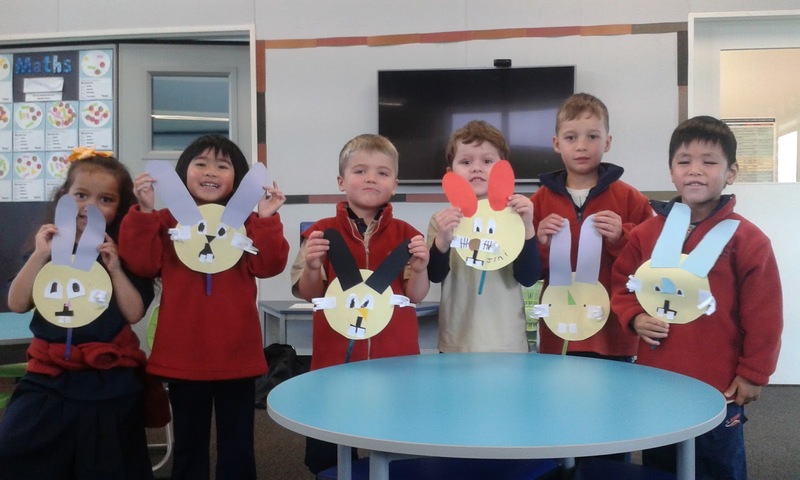 We are New Entrants starting school during Term 4 2016. 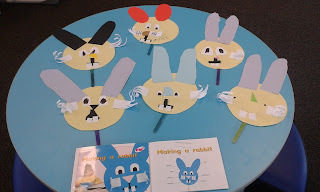 We are starting with 6 lovely children and building up during the term. 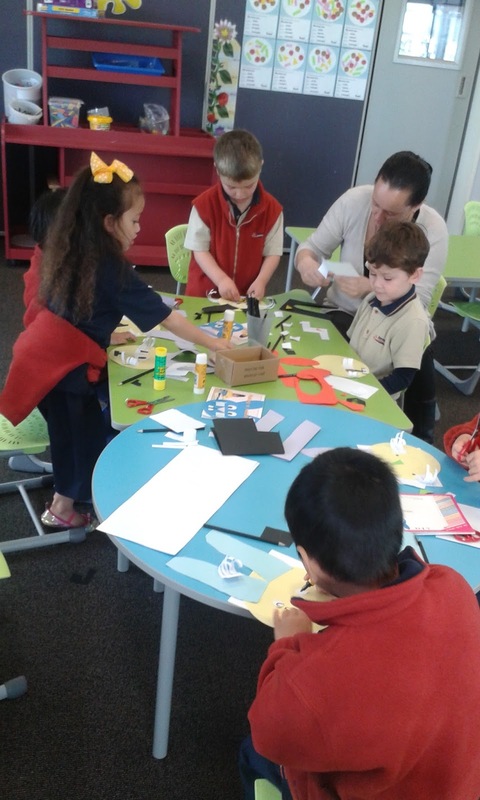 Already during visits to Room 1 we have started our learning journey. 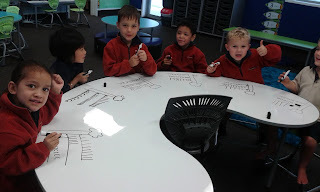 We are so lucky to have new, bright, colourful furniture including a whiteboard teaching table! We read the story 'Making A Rabbit' and made our own cute rabbit faces! We have been learning about 'Casey Caterpillar'. The Magic Caterpillar handwriting process uses a story about a caterpillar to represent shapes that are used to form letters. We can't wait for Term 4 to start!